When we think of an Arab country, “Jewish Community” may not be the first thought that comes to mind. 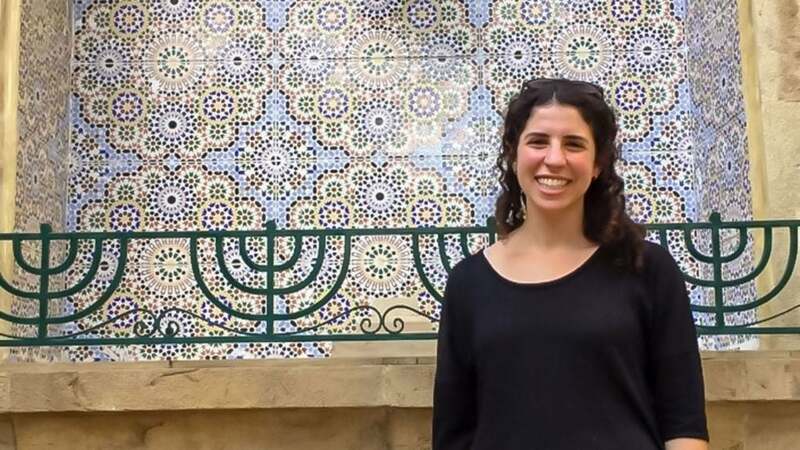 But perhaps we should think again — it may come as a surprise that in Morocco, a predominantly Muslim country, there is a beautiful Jewish community that thrives within it. This past November, I had the opportunity to staff The Jewish Federation’s Inside Jewish Morocco trip, in partnership with JDC Entwine, alongside a diverse group of 20 other young Jewish Angelenos. As a group, we explored the millennia-old and constantly evolving Jewish community of Morocco, whose history and community members are highly concentrated throughout Fez, Casablanca, Rabat, Meknes, and Marrakech. The population of Jews in Morocco — once nearing 300,000 people — is now estimated to be closer to 2,000-3,000 throughout the country. This decline was primarily attributed to the creation of the State of Israel in 1948 and Morocco’s Independence from France in 1956. Despite the decline in numbers, the country has many active synagogues, kosher bakeries and restaurants, Jewish cemeteries, businesses, elderly residences and schools, and a Jewish senior advisor to Morocco’s king. I could share endless moments from the eight-day immersive experience that left an impression on me. We explored the imperial city of Fez’s historic mellah (the first of the walled Jewish quarters built to protect the Jewish community in the fifteenth century) — winding our way through the busy streets filled with old Jewish residences, restored synagogues, Maimonides’ home in the Middle Ages, and leather tanneries and spice markets in the Medina. We visited with Morocco’s US Consul General Jennifer Rasamimanana at the extraordinary Villa Mirador (where Prime Minister Churchill and President Roosevelt once held private conferences and is now the residence of the Consul General). We had meals in the local Jewish community centers with leaders in the modern Moroccan Jewish community. We visited the mausoleum where former Moroccan kings Mohammad V and his son were buried. We toured the enormous Hassan II Mosque, the largest in Morocco and third largest mosque in the world — for some group participants, the first visit to a mosque, and for many, the first exploration of Islam. We observed Mosaic tile-making workshops and joined belly-dancing and cooking lessons, and dined on couscous, couscous, and more couscous. While I would love to share more about each and every experience, here are a few memorable highlights. When we arrived in Casablanca, we visited two JDC-supported local Jewish elementary schools. We were able to sit in on lessons in the classrooms and play with the kids during their recess. One of the schools is a prestigious Jewish/Muslim school, the Alliance Israelite Universelle. In one classroom, the 20 or so students, half of whom were Jewish, half who were Muslim, all proudly took turns reading Hebrew sentences out of their notebooks to show off their proficiency. 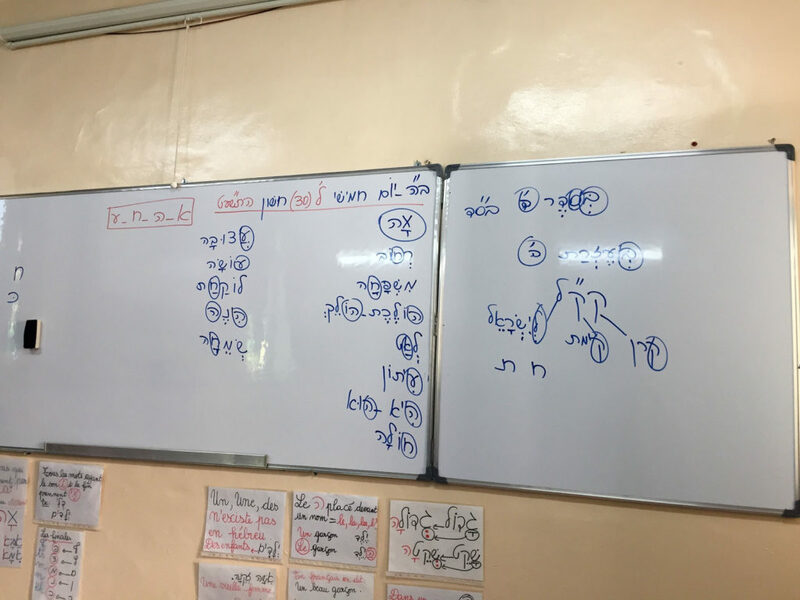 I was impressed by the ease with which they were able to read (this is one of four required languages taught at Alliance — French, Arabic, and English are the other three). According to some of the Jewish students, not only are they classmates but they play together with their Muslim counterparts on the schoolyard — they share neighborhoods, foods, and traditions. 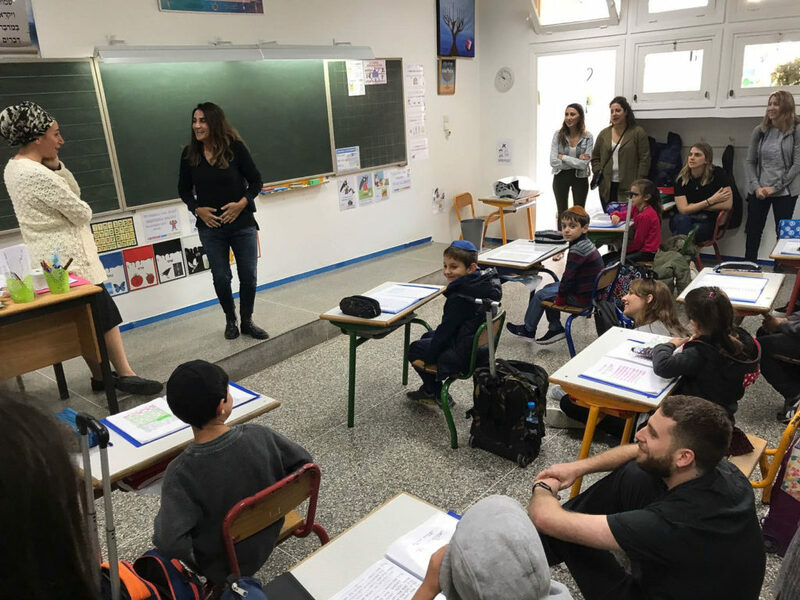 The power of schools like these not only ensures the Jewish education and future of Morocco’s youngest Jewish community members but creates an environment that promotes the tolerance and coexistence of the Jewish and Muslim communities in Morocco and beyond. Another striking experience was our visit to the Jewish Museum of Casablanca, Morocco’s largest city with its largest Jewish community. It was heartening to hear from our charismatic guide, Rafi Elmaleh, the only Jewish tour guide in Morocco, who was one of the Museum’s founders and primary historians and was instrumental in discovering and collecting centuries-old Jewish artifacts from around the world to display at the Museum. We were lucky to have Rafi himself guide us through this museum, the only Jewish museum in the entirety of the Arab world, visited by not only Jewish tourists and locals alike, but all Moroccans, and is the keeper of some of the most prized history and artifacts in the Arab Jewish world. One of many remarkable artifacts was the Megillat Hitler. 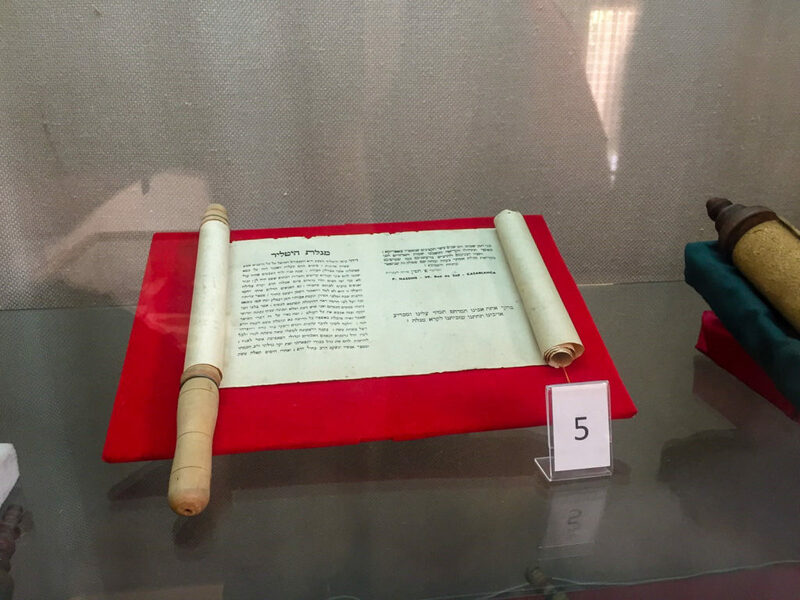 At first glance, it looks like a regular Purim megillah. Written in the same style with phrases borrowed from the Book of Esther, the scroll is actually a documentation of the events of the Holocaust in narrative form. The story’s final chapters end with the liberation of North African Jews by the Allies. We were astonished to learn of the existence of the Megillat Hitler, and that, in order to preserve it, it was concealed within the regular Purim megillah. 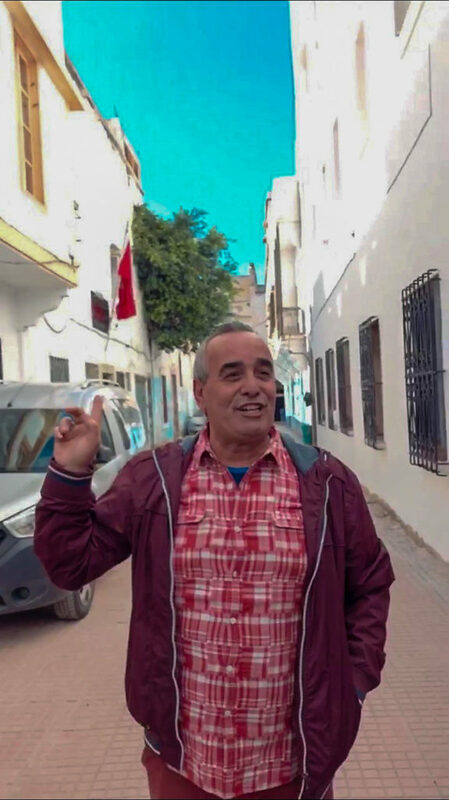 Rafi Elmaleh, the only Jewish Tour Guide in Morocco. It may be unusual to say that a museum is a trip highlight, but Rafi’s extraordinary work and efforts to preserve the unique history of the area made it so. Rafi was born and raised in Morocco and left for 17 years to study and work in England and then Israel before returning to Morocco. He began work in Morocco restoring Jewish sites, landmarks, and institutions before he became an official tour guide. We found Rafi’s passion, coupled with his spirit of areyvut, or responsibility, nothing short of inspiring; he made it his life’s work to make the country’s Jewish heritage and history accessible and known. This sense of global areyvut was a theme throughout our trip, as it is a value shared by The Jewish Federation and by JDC. Inspired by Rafi, our group went into the last few days of the trip spending Shabbat in our final city: Marrakech. We welcomed Shabbat as a group and joined a local Jewish family for Shabbat dinner. Isaac Ohayon, the cantor at the local Bet El Marrakech synagogue, and his family did not hesitate to welcome our group into their modest home, even though we were 23 in number. They live not far from the Marrakech mellah, and a 10-minute walk from the synagogue where we prayed Kabbalat Shabbat. Over a meal of Moroccan carrots with harissa, Moroccan fish, harira soup, bastilla (a moroccan pie filled with meat, vegetables, and fruits), and of course Moroccan mint tea with dessert, we heard from Mr. Ohayon about the state of the Jewish community of Morocco and his perspective on the future it holds. Ohayon, who spoke little English — we used our collective knowledge of Hebrew to communicate with him and translate — has an evident passion for the preservation of the Moroccan Jewish community, though he himself expressed a desire to make aliyah to Israel with his wife in the next few years. Four of his five grown children have moved to France or Israel. Ohayon is pleased with the perception and treatment of Jews in Morocco, and believes it defies the trend of anti-Semitism in many countries in the Arab world — Jews have equal legal rights and the government supports Jewish schools. While the numbers of the Jewish community are decreasing, he remains hopeful knowing that Moroccan Jews are growing their communities around the world and preserving traditions through language, music, foods, and prayer. JDC’s work with Jewish communities around the globe is powerful. The support of The Jewish Federation of Greater Los Angeles has enabled this cohort to participate firsthand in this important work. Exposing young Jewish leaders to the values of global Jewish responsibility and connectedness is something that we are fortunate to be able to do together. Along with the group participants, I am grateful for the connections formed and for the trip’s most salient takeaways that unified this diverse group: the tolerance and coexistence that we witnessed from the children of the Alliance school, the passionate spirit and responsibility of Rafi Elmaleh, and the hospitality and hope of Isaac Ohayon. Through our local Federation and NuRoots programming focusing on global Jewry, we have already begun to extend the joy of our trip in Los Angeles. On December 19, we came together through NuRoots for Senses of the Mellah: A Night in Jewish Morocco to bring some of the stories back to the greater L.A. community. For more information on upcoming JDC Entwine and NuRoots’ immersive experiences, contact nuroots@JewishLA.org. Ariela Wallace is the Young Adult Event and Program Coordinator at The Jewish Federation of Greater Los Angeles.